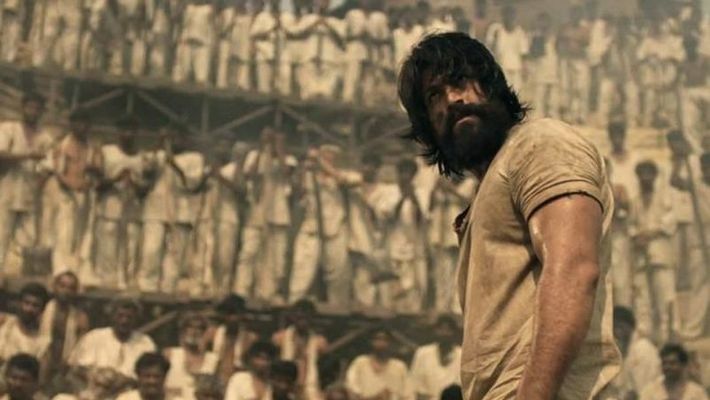 KGF Chapter 1 will make its TV premiere in Hindi on Sony Max. Though the date has not been fixed, reports state the it will hit TV screens in February. Bengaluru: The news of KGF chapter 1 to be aired on TV soon is making the rounds. The movie, however, will not be telecast in Kannada, but in Hindi. The promos for KGF Chapter 1 have already hit TV screens and will telecast on Sony Max. Though the exact date of movie’s TV premiere is not known, reports confirm that the movie will be out on TV screens in February. The Yash starrer movie is still running successfully in theatres after turning out to be a huge hit. The big budget blockbuster gained great response after its theatre release in December. It is speculated that thought behind playing only the Hindi version of the movie is to reduce the risk of the movie being pirated, which would adversely affect box office collections until it has run its course on the big screen.